By preparing your firm for shipping emergencies while enhancing your standard deliveries, ExpeditedTruckingServices.com makes you more productive and profitable. When you expedite trucking services, you aren’t just filling a temporary need; you’re making an investment in the overall success of your company. ExpeditedTruckingServices.com ensures that this is a profitable investment. By resolving emergencies, shoring up safety, and raising the standards for ordinary deliveries, we more than make up for the cost of our services by sparing you from lost productivity. With our aid, your firm can be smooth, efficient, and profitable for the long haul. Dealing with Delays - Through same-day, next-day, and overnight shipping, an expedited trucking company can get your goods to you before you suffer serious losses. This is especially valuable if the supply you are missing is essential to production. Setting New Standards - Many expedited freight companies also offer scheduled services, traveling at the same high speeds they use during emergencies. This raises the overall speed and efficiency of your supply lines. Vetting the Vehicles - Expedited trucking services will find the best vehicle to carry your goods, taking into account payload size, specialized storage capabilities, and other factors. This minimizes the cost of shipping while keeping your goods secure. ExpeditedTruckingServices.com offers all our clients these rewarding results. Our goal is to give you value that exceeds the price of our shipping, providing you a benefit that keeps you productive and profitable for years to come. Keep You Informed- Our customer service staff will answer your questions 24 hours a day, 7 days a week. Offer You Options- Besides ground shipping, we can coordinate air charters and scheduled air deliveries. Enhancing Affordability- We keep costs low while dividing our services by price, making it simple to stay under your budget. Shipping from Door to Door- We complete the entire delivery, letting you sit back and wait for it to arrive. While faster shipments can enhance your productivity, they won’t do you much good if a large portion of your goods are lost or damaged. ExpeditedTruckingServices.com thus takes every precaution to keep them in good condition. We regularly inspect, repair, and upgrade our trucks, keeping the risk of a crash to a minimum. We also assign teams of two drivers to each truck that has to drive over a long distance, further lowering the likelihood of accidents. Finally, if any of your items are fragile or perishable, we will load the storage equipment necessary to maintain their quality throughout the delivery process. Don’t pass up a chance to streamline your business. 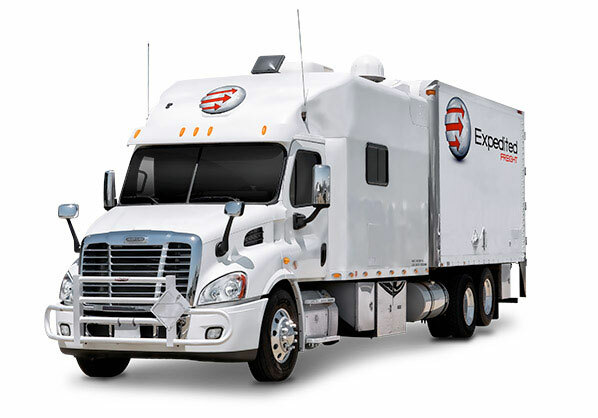 To request a free quote or learn more about our offers, call (800) 713-1000 or visit ExpeditedTruckingServices.com today!